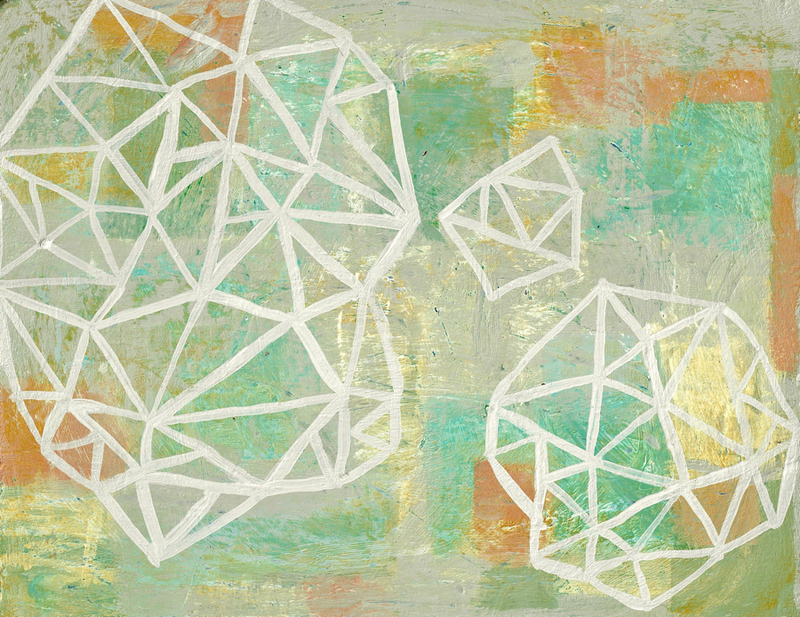 Abstract with green and orange and white triangles by Brenda Beerhorst available here. "The moment I sat infront of a canvas I was happy. Because it was a world, and I could do as I liked in it." I purchased a book titled A world of their own, women as artists written by Frances Borsello. This book is rocking my world because it is opening up the history of women artists through the centuries regarding what they had to go through just to make their art. Having lived with a painter for almost 25 years and knowing her struggles to make work between the desire to be a good mother and navigating a culture made for men. I know first hand that for Brenda, making art has been put off too long for a time that never comes. Brenda just sold another one of her paintings last night. This time to a collector in Australia. Her paintings have a link to Lee Krasner in that she does not come to the process of making a painting with a preconceived notion of what she wants it to look like. Rather she just begins making shapes and putting down colors. She in effect begins by giving herself something to react to. Where is goes from there is different every time. This current series of paintings resonate with a vibrancy and freshness that is breath taking. The inventive organic shapes and lyrical use of line together with very personal color vocabulary creates a sort of new natural world of beauty in paint. See more of her work here.